An outfit of the day I never got around to posting from the last time I was in Australia, featuring the local clothing brand that I miss the most when I'm not there. 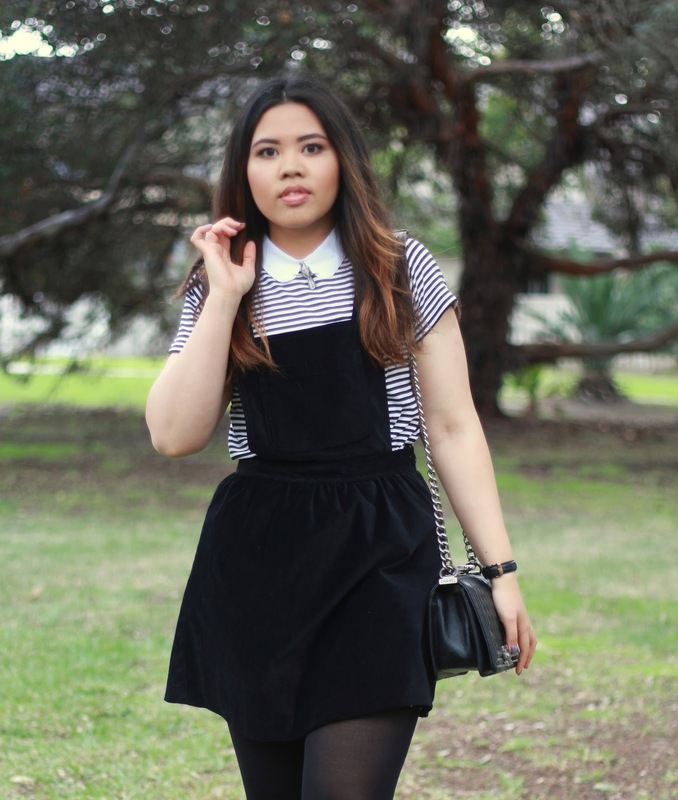 It's nothing groundbreaking but a striped top and pinafore are always two of my favourite things to pair together. As much as I love dressing up for events, I'm most comfortable in a get up like this, complete with a collar and my trusty saddle shoes. My best friend told me I looked like a 12 year old that day but I'd like to think at least a cool kid right? Love that outfit and your blog theme. Very clean and nice. This is a great blog! Hahah I actually get called a kindergartner a lot of the time, especially when I make a little top knot bun with my short hair. So I feel you on that! BUT I absolutely love this outfit. It's funny that you say it's a simple outfit for you, because I'm practically swooning over it. 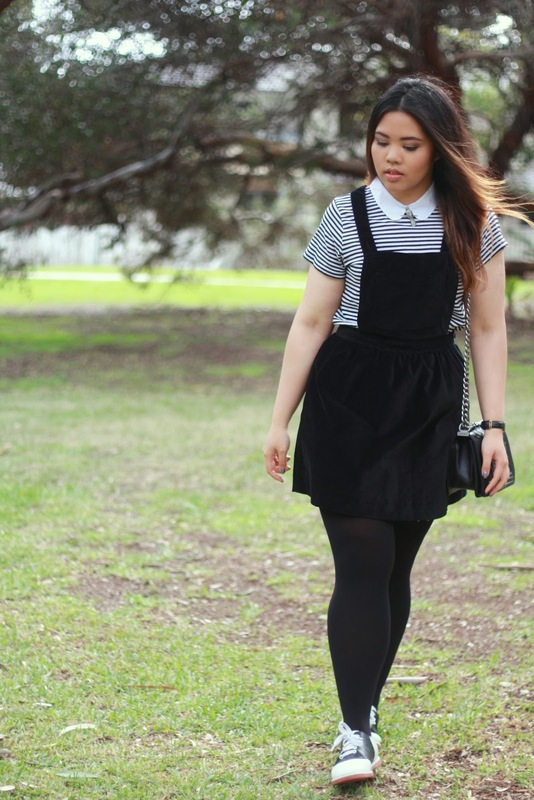 The cut of that pinafore is adorable, and I really like how it looks with the stripes. Very fun styling! Oh yeah, definitely a cool kid! :) I find myself investing more and more in flat shoes than in high heels - but hey I'm the clumsiest clown in town. Heeheeeee... so cute!!! x A. You look amazing! Gorgeous style and blog!